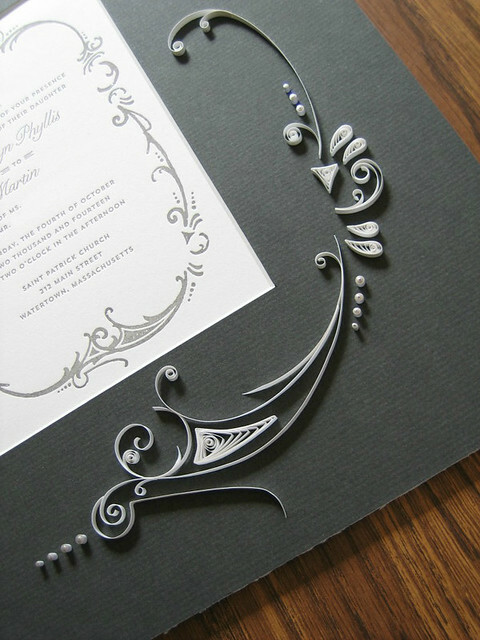 One of the many things I love about paper quilling is that it's possible to recreate any scrollwork design. Recently a newlywed sent over an image of her wedding invitation to ask if I would quill a corresponding mat as she planned to have it framed. Created by Ellie Snow of Hello Tenfold, the Gatsby invitation features an elegant art nouveau-inspired design composed of graceful scrolls. My immediate response was yes! 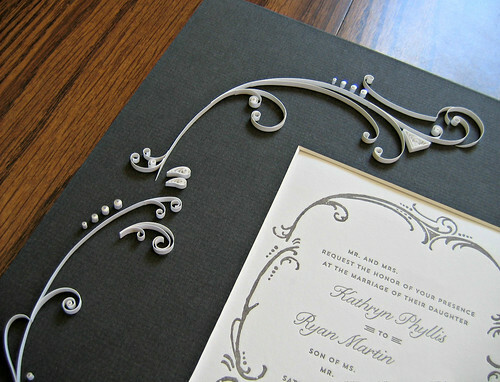 I worked with white and silver-edge white quilling paper and stayed quite true to the original design. To give the scrolls extra strength and flexibility, two strips were glued back-to-back and allowed to dry completely before shaping. Rolled scrolls are surprisingly springy, so I find final positioning and gluing to be the most challenging parts of the process. Thank you, Suganthi, I loved having a reference this time around and enjoyed the challenge of making it look like the original. Very true about gluing - that's the trickiest part. Absolutely lovely! Elegant and minimalist at the same time. I love it! Beautifully done Ann. As always, your love of quilling shines as it accentuates. 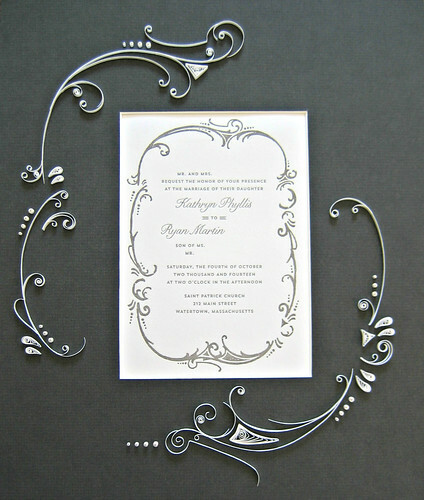 Always love seeing your scrollwork. Beautiful.